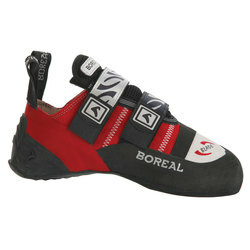 While we sincerely admire you barefooted trailblazers out there, we highly recommend a pair of technologically enhanced climbing shoes for your next insane mission. 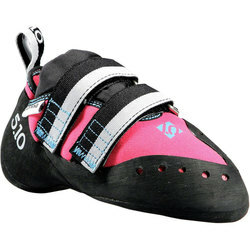 Arguably the most significant piece of the climbing puzzle, the right shoes can maximize your grip and safeguard you from nagging injuries. 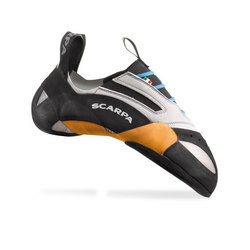 Available in Velcro and smart laces, our climbing shoes from La Sportiva, Boreal, Scarpa, Five Ten and Anasazi have been rigorously tested to deliver maximum support and durability. All these shoes have unprecedented traction systems and shock absorbent mechanisms, making any misstep immediately forgettable. 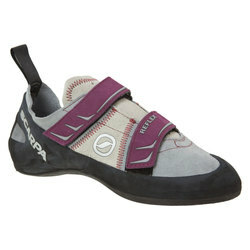 Available in varying shades from red and black to pewter and plum, our shoes will complement your personality as well.